ELIZABETH CITY, NC –– The 2016 Chrysler Town & Country is tailored for an active lifestyle with the room to contain your crew and tagalongs. The Town & Country is a versatile minivan that makes traveling from destination to destination feel like a home away from home. Learn all about this minivan by downloading the 2016 Chrysler Town & Country brochure below. 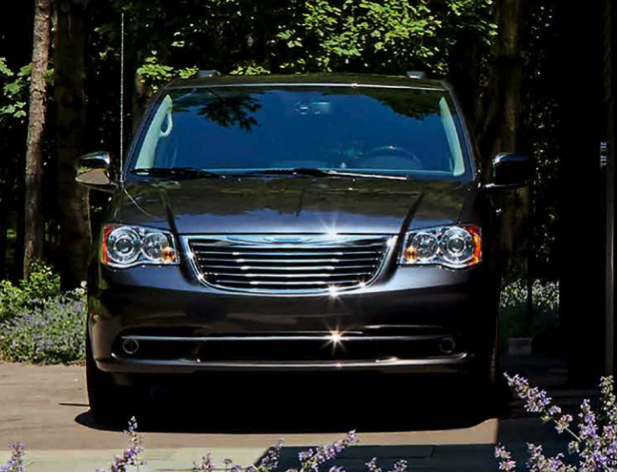 Riding in luxury isn’t something you’d expect with a minivan, but comes standard with the 2016 Chrysler Town & Country. Exterior chrome details, heated power mirrors, leather trim seat, Uconnect touch screen radio, and leather wrapped steering wheel. Unexpectedly sustainable, the 2016 Town & Country offers a Fuel Optimizer mode to alter transmission shift patterns and get you up to an EPA-estimated 25 MPG highway. The 3.6L V6 engine with Variable Valve Timing produces 283 horsepower and 260 pound-foot of torque and can run with E85/Flex Fuel if you desire. The entire crew of yours, plus some, can feel safe, comfortable, and connected on the road. Safety features include advanced multistage front and supplemental side-curtain airbags, strategically placed high-strength steel, and child protection rear door locks. This minivan has the smart seating and storage with 143.8 cubic feet available and Stow’ n Go seating and storage system. Mopar Web serves as a mobile hotspot to keep the little ones entertained and you connected. To see all the details on how this minivan could serve your crew, download the 2016 Chrysler Town & Country brochure. When you decide you want luxury and versatility in your day-to-day family vehicle, stop by Perry Auto Group to purchase or lease your 2016 Chrysler Town & Country. Perry Auto Group has two dealership locations to serve you better at 1005 W. Ehringhaus St, Elizabeth City, NC, 27909 or 1001 Halstead Blvd Elizabeth City, NC 27909. Stop in for any of your auto or community needs, or feel free to give us a call at (252) 338-9100.